Hi, hope your Tuesday went well. Our kids (all of them, two teachers and two grandchildren) went off to their first day of school. I called and talked to everyone, and apparently only the middle school for the first time Granddaughter had some locker opening problems and was late getting to a class because she got lost, was unhappy about the days events. Hopefully tomorrow will be a better day for her. My grandson was excited to go back and likes his teacher, so he was happy. Today's card is a Magnolia, Tilda. I made the card for the challenge at Magnolia Down Under(#62). The challenge this week is Fur, Feathers or Fins. I chose this adorable Tilda with Lamb, and I used flocking to make the little lamb more furry looking. I colored with Copics. 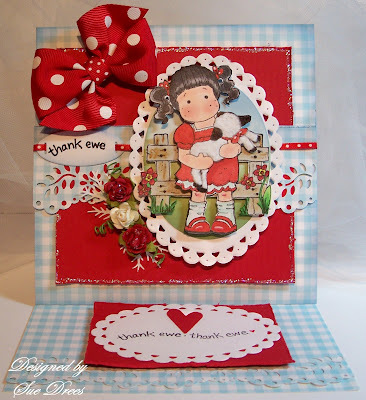 The oval die cuts are Nellie Smellen. Paper is Martha Stewart as well as the border punch. Roses are from Michael's Reflection Collection. The fence is also Magnolia (thanks Steph!). The oval behind the fence, I brayered the grass and sky on glossy card stock. Ribbon is also from Michael's. Star Dust Stickles used on flowers and around the red panel. I'm also entering this at Stamp Something, their challenge this week is stamp something "cute". Also, A Spoonfull of Sugar Challenge,(#120) Animal Crackers, use an animal. I love Tilda and her furry friends, and despite my Magnolia boycott, I still yearn for more of their Easter images!! 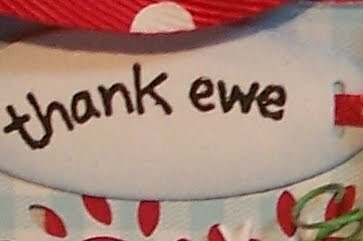 This is fabulous Sue, love the country colours and the fabulous ewe sentiment as well as that fuzz!! Very cute!! Darling card! Love the cheery colors and love your new blog pic too! Just got back from vacation and itching to start stampin'! Oh Sue! Your lamb is so cute with her flocking. Tilda too of course, lol. A really beautiful card. A really stunning card Sue! Love the way you coloured Tilda!! Sue, your card give me such a happy feeling! The ribbon and the paper that you used is so perfect together. WOW and how beautiful have you coloured Tilda and the little lamb. 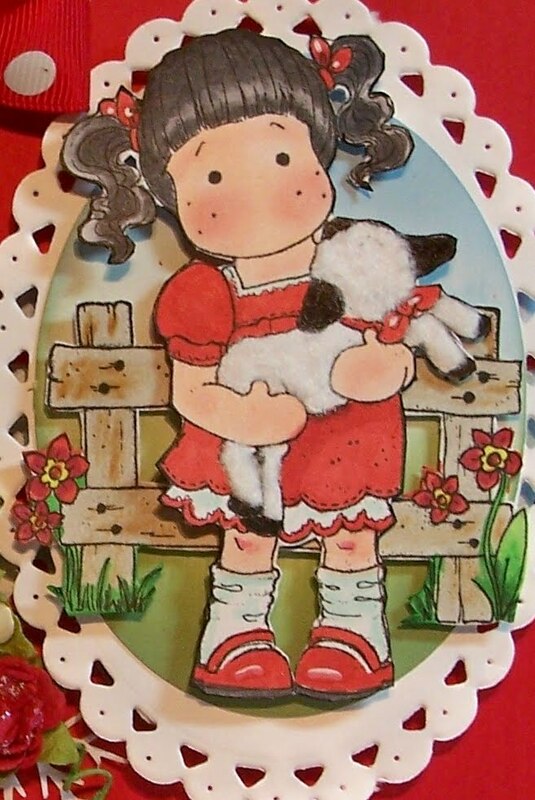 Awwwhhh, isnt' she and the little lamb so cute! Lovely card! Hope your granddaughter has a better day! Adorable card! Tilda is sooooo sweet! This is the first time in 17 yrs that I didn't have anyone going to school. Kind of sad. :^( My daughter will be going to college in January though, so that will be a happy time. 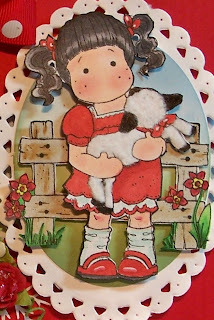 So cute - love this Tilda with her little lamb - perfect for this challenge - and love the red bow too. Thanks for playing along at MDUC. You never fail to impress Sue - I just LOVE the softness of your little lamb - and such an awesome LO too! This is stunning!! The colors you have used are FAB!!!! Love the Easter image for a thank you card..
HOUSE MOUSE TWO YEAR ANNIVERSARY CELEBRATION!